It’s a disposable place we inhabit, and, as the world opens up to us as never before, the bubbles we encase ourselves in grow smaller and thicker. It is as much of a choice to ignore that which we find distasteful as it is to lend a compassionate hand. How an individual chooses to act in the face of the uncomfortable speaks volumes about their character and their priorities. Case in point: homelessness. Homelessness is a chronic problem in America and its continued existence demonstrates profound failures of our political system, our social system, and our medical system. 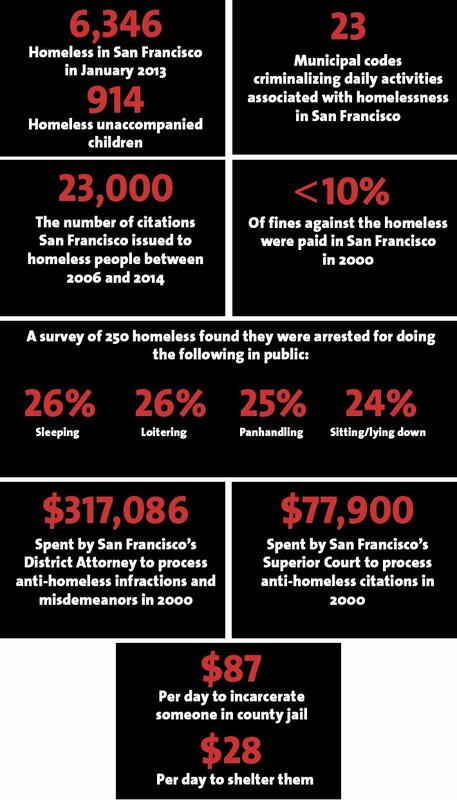 A recent report from thePolicy Advocacy Clinic at UC Berkeley indicates that in San Francisco, a city often mislabeled as a gleaming bastion of liberalism and social welfare, the homeless problem is only getting worse.